As winter approaches, the memory of palm trees may be the only refuge we have from the cold. The season is early so the weather is going to get worse before it gets better. Don’t dwell on your inevitable suffering, and instead, let’s plan your next tropical vacation. The term ‘tropical’ refers to specific types of environments with little or no dry season. The climate of the Caribbean islands, for example, is considered a subtropical rainforest, while the rains in Thailand make it a monsoon forest. When planning a trip, splitting hairs about the exact ecological jargon is unnecessary, as any destination with sun and sand would make a great place to relax. While you can certainly find a vacation destination on the other side of the world, there are also plenty of domestic spots to enjoy. Explore the crystalline waters of the Florida Keys. Take an exotic expedition in Hawaii—all without requiring a passport. 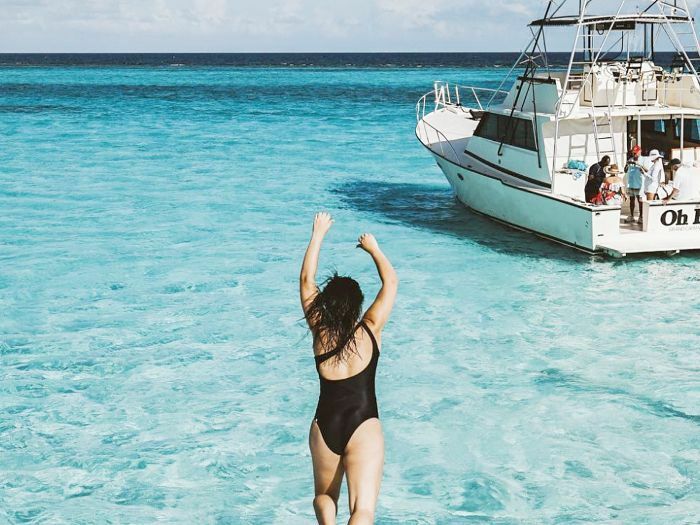 If you are the type who needs a yearly respite from winter, coordinate one of these tropical vacations in locales that never shy away from sunshine. The tourist industry of Thailand makes up almost a fifth of their economy; that figure is double that of the rest of the world on average. That said, this tropical paradise has everything you may be looking for in such a destination, with the added bonus of a favorable exchange rate. Find yourself on a proper island when you vacation in Montego Bay in the Caribbean. While it is not the most trafficked spot in the area for tourists, Jamaica hosts almost 2.5M travelers annually. If you don’t mind the bustle, this affordable tropical vacation could be perfect for your family. This island chain is directly south of our fiftieth state and remains vibrant with Polynesian culture. The archipelago markets itself “like Hawaii was 50+ years ago,” meaning it is aesthetically and politically untouched—the perfect place to go off the grid. Ambergris Caye is right around the corner from Cancun, geographically speaking. It is a delightful island experience on a peninsula, with all the color and personality of central America. Given its tropical coast and desert interior, Los Cabos is known as a land of contrast. It also is not likely to break the bank—you can even book a travel package at Costco. A trip to the Baja California Sur is especially convenient if you live on the west coast, reducing travel cost and time. If you’re looking to lounge on a beach all day, you may want to travel as south as possible. Key West is the most famous of the Florida Keys, but stop anywhere along the 100-mile overseas highway and you’ll find a tranquil seaside spot to indulge in. The weather is always agreeable on this former French colony in the Caribbean Sea. The topography is verdant and surprisingly mountainous, providing spectacular landscapes for you and your partner to drink up for hours at a time. Also, fun fact: Saint Lucia is the only place in the world named after a (once) living woman, St. Lucy of Syracuse, an Italian martyr who lived in the first century. You don’t need a passport to travel to this faraway tropical paradise. Known as the worst-kept secret across the archipelago, Kauai is where local Hawaiians vacation—what else is there to know? This quiet cove in Australia offers tropical weather year-round, with the low in winter reaching an average of 17 Celcius, or a balmy 63 F. But of course, the benefit of traveling to the southern hemisphere is avoiding winter in favor of going back to the summer in the middle of January.